If you follow me on Instagram you’ll know it’s all been a bit souptastic of late. 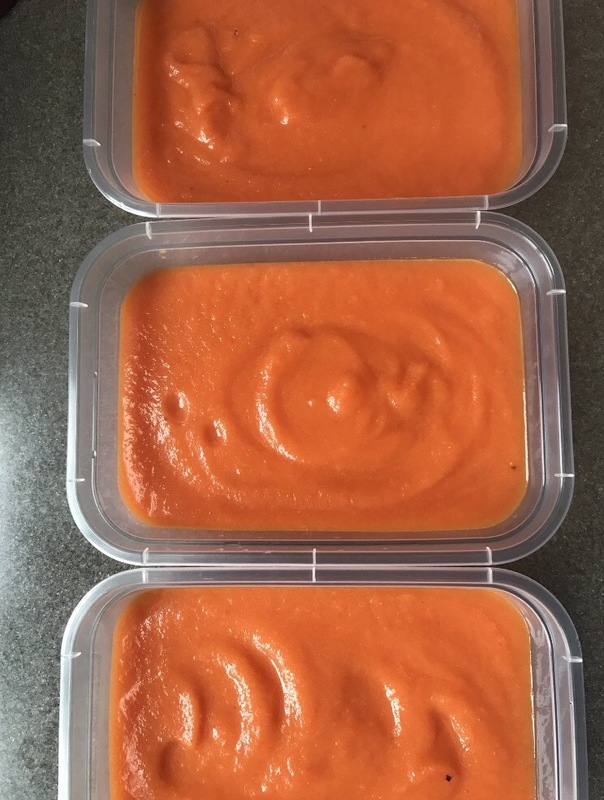 My husband has been making a concerted effort to eat healthier so I have been making big batches of soup and freezing it in portions for him to take to work for his lunch. I’ve tried to make lots of different flavours so he doesn’t get bored and I think this one is my favourite. Remove the tomatoes from the vine, wash and cut in half. Place cut side down in the dish. 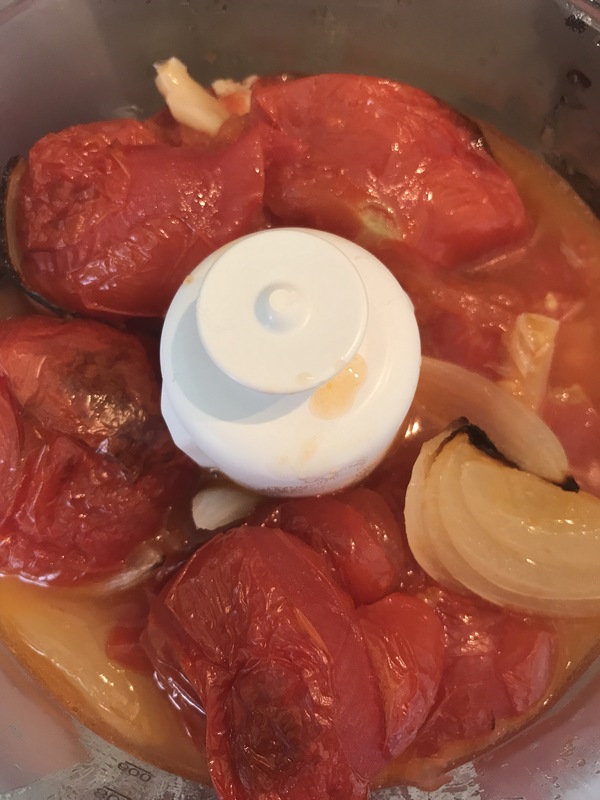 Peel and chop the onion into large chunks and place the pieces among the tomatoes. Chop the ends off the garlic cloves but add them to the dish in their skins. 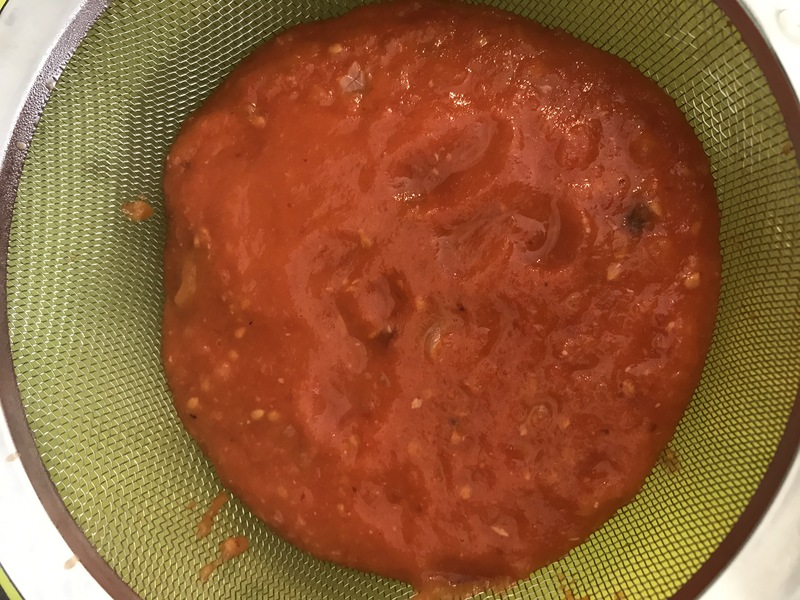 Melt a tablespoon of coconut oil in the microwave until liquid (30-60 seconds) and drizzle over the top of the tomatoes. 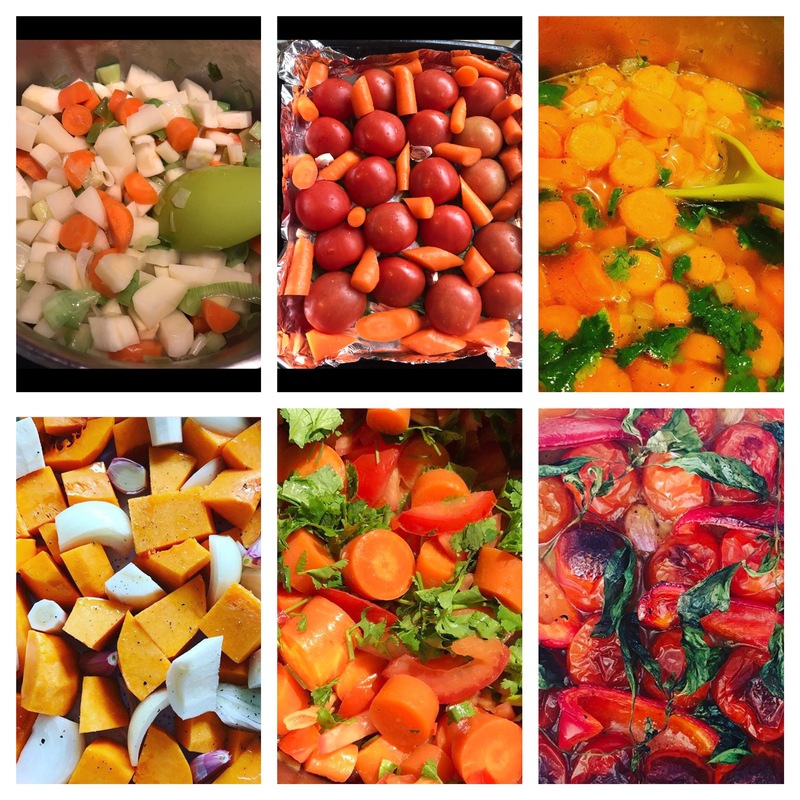 While the tomatoes are roasting prepare the carrots and boil them in a large pot until soft. 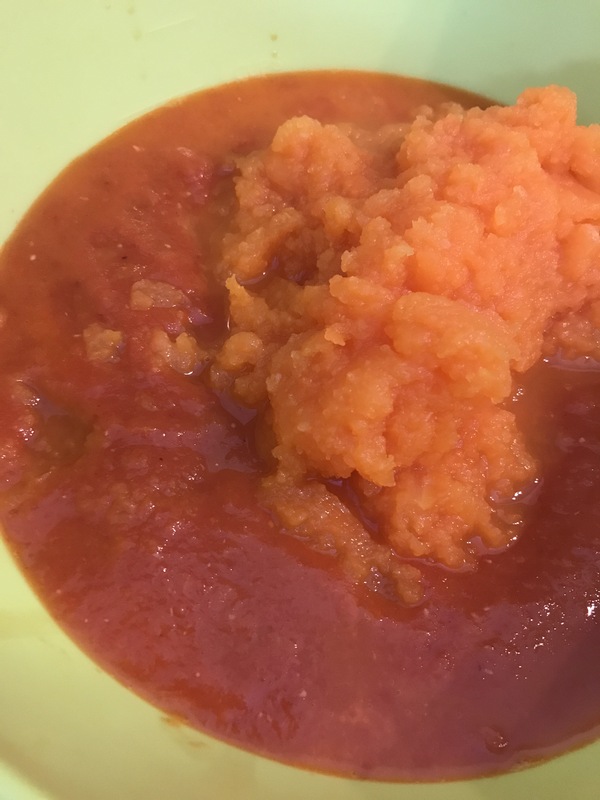 When the tomatoes & carrots are cooked and the dish is cool enough to handle place the tomato, onion & juices into a blender and add the garlic by squeezing it out of its skin. Blend until smooth (some bits of burnt onion/tomato skin may remain. Do not worry as the next step is to sieve the mixture into a large bowl. 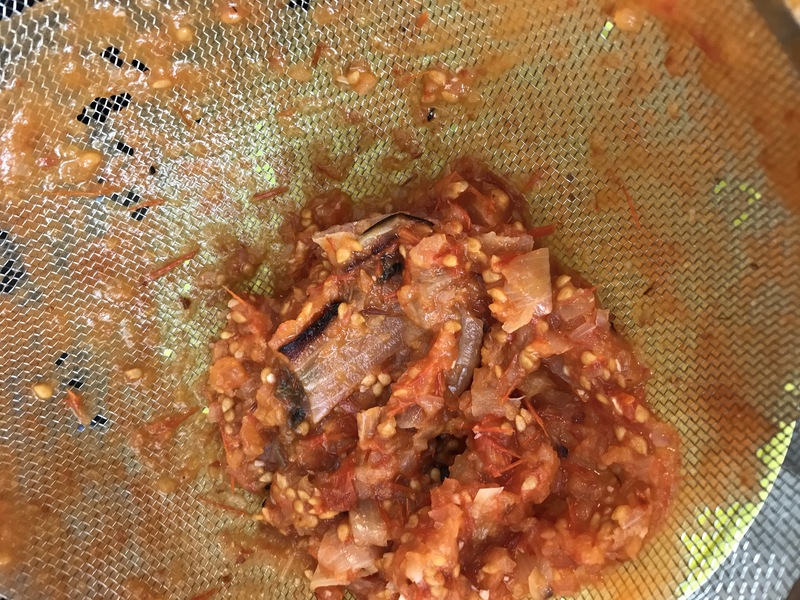 Use a sieve with reasonably big holes in the mesh, I bought one specially as my baking ones are quite fine and I was losing too much of my life to sieving tomatoes! Press and stir the mixture with a spoon until all the liquid has passed through and you are left with the seeds, skins and bits of onion. 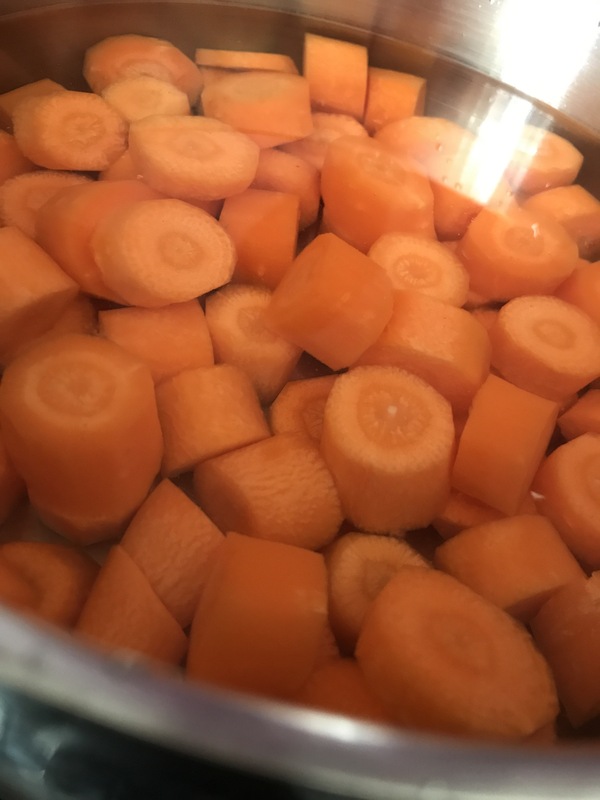 Once you have done this blend the carrots (you can add some of the cooking water to loosen them up in the blender) and then stir them into the sieved tomatoes. Season with salt & pepper to taste. You can add more water at this point if the soup is very thick or you could stir in some dairy free milk. 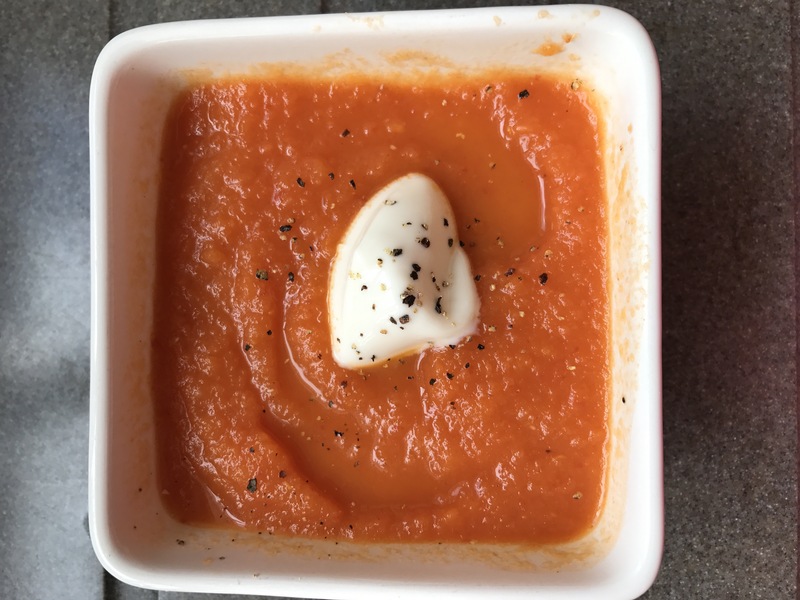 I divide the soup into portions to cool and then store in the fridge if they are to be eaten in the next couple of days or I freeze for easy weekday lunches. 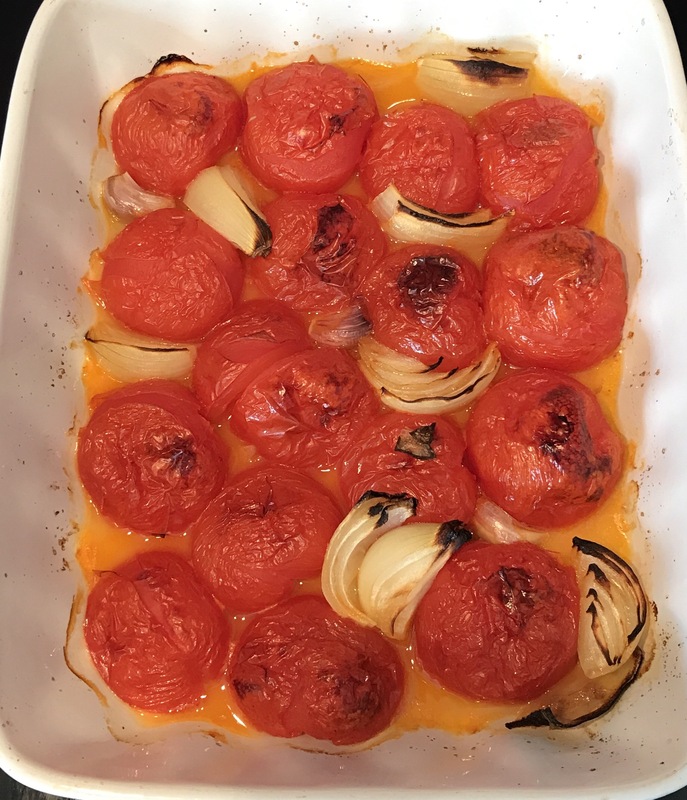 Serve with a spoon of plain dairy free yoghurt or creme fraiche.